I love the concept of a bullet journaling, but my inconsistent past kept me skeptical that the gimmick could work for ordering my chaos of little papers scattered throughout my house, car, jacket pockets, and purse. Most of which I always seemed to misplace and find at the wrong times. I love writing and doodling and making lists with pretty pens and fonts and practicing my handwriting and getting all my thoughts down on paper. But I don’t have time. Or attention span some days as a young mom. Though I admire the artful way some keep their journals and maybe someday I will make my journal pretty – here is my bare bones journal that has worked for me. 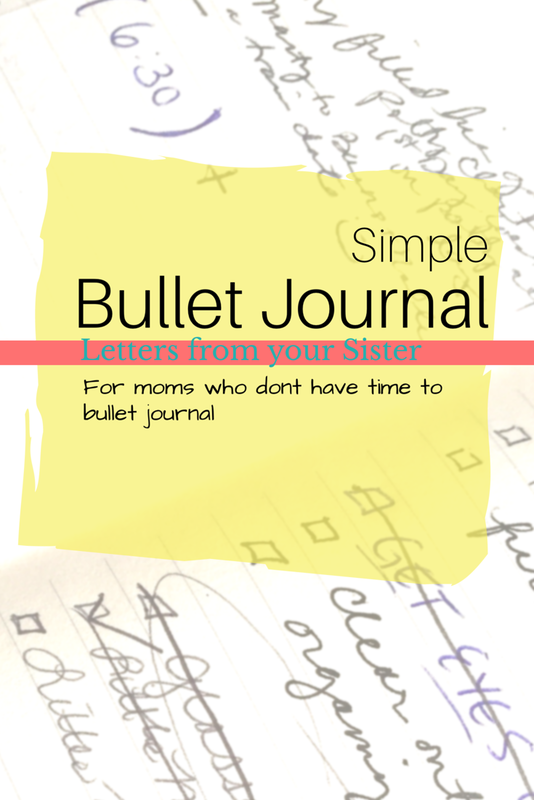 I had tried and failed keeping a basic notebook before I heard about bullet journaling. So I folded the small notebook in half and started there. I liked keeping one “spread” sheet a month. Left side of the spread was the calendar, the right is the space I write my to do list or events. I didn’t keep a fancy symbol list or colors – just a basic to do list all mixed together like I’m use to. Applying these basic bullet journal concepts quickly changed my notebook for me. The little bit of order gave clarity to my thoughts, kept all my ideas in one place, and gave me a way to find them again. The rest of the blank pages I keep on a variety of topics. I always use a spread to keep order and clarity. 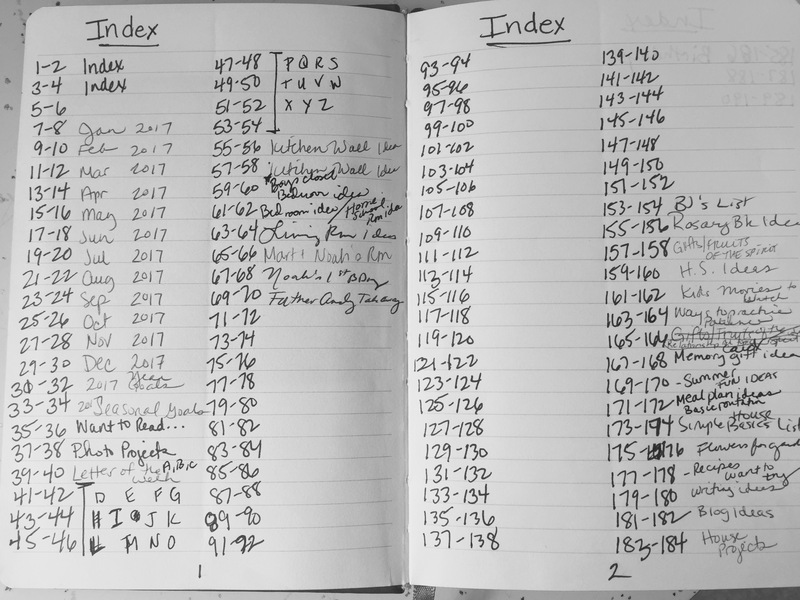 Lists like house projects, specific project ideas, general writing ideas, specific notes on a writing idea – I just add it to the index when I write it in the notebook. Simple. I don’t worry about what order it is in or the pages. 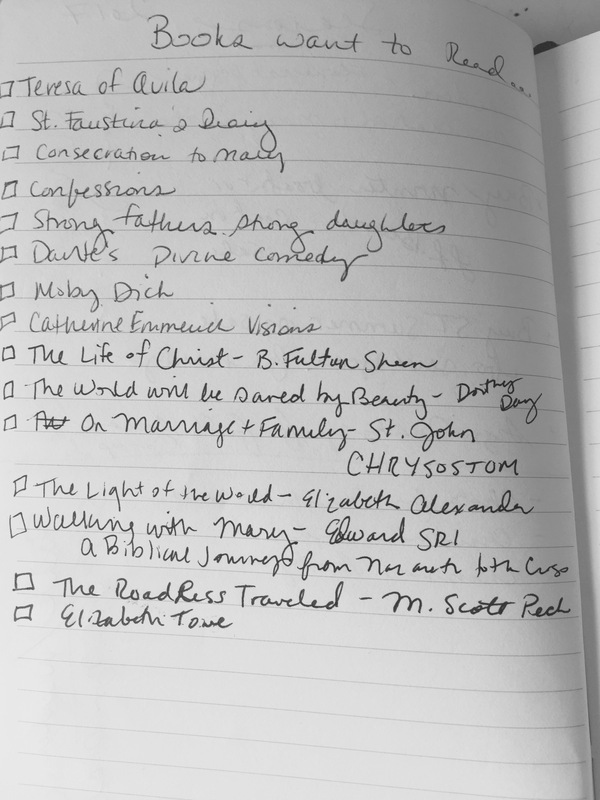 I do put more permanent lists toward the back of the book – reading lists, seasonal lists. Less permanent – like a specific busy days list – I keep toward the front. This is just so I can have an idea of where I put the list on my index when retrieving it. I have successfully kept a journal for over a year now. Hope this helps those of you who want to try but don’t think you have the time or attention to detail. See a video clip on my Instagram! I find that my journal constantly evolves and I’ve tried separating permanent pages at the back but my mind just won’t work that way! Hope your bullet journal continues to be useful.